Smith Brothers have achieved the silver FORS accreditation for the third year running, since upgrading from the bronze award. Overall SBS has held the accreditation for six years. The award is granted to our wide fleet of vehicles usually compromising of LGV’s, 3.5T flatbeds and small box vans. All our vehicles hold the status, meaning that when you place a delivery from one of our 14 depots located in England and Wales, you know that they meet the high standards set by the scheme. The Fleet Operator Recognition Scheme (FORS) is a voluntary accreditation for fleets of vehicles such as, buses, coaches, vans and trucks. The objections of the scheme are to improve vehicle safety and efficiency along with protecting the environment. The awards helps demonstrate to our customers and supply chain our commitment to exceeding the industry standard regarding the SBS vehicle fleet. To gain the upgrade to the silver award from the bronze, our vehicles have been fitted with in-cab recording, audio indicator sirens, side and rear cameras to all help the driver manoeuvre safely. We have recently introduced five new vehicles at our Leicester, Peterborough, Oldham, Merseyside and Southampton locations. This is to strengthen the delivery options and improve the service in the local area. The new vehicles comprise of four 3.5T tail-lift lorries and one 12T truck joining an already established fleet. However, we are not stopping there, as we are already planning to introduce more vehicles in January and April next year. 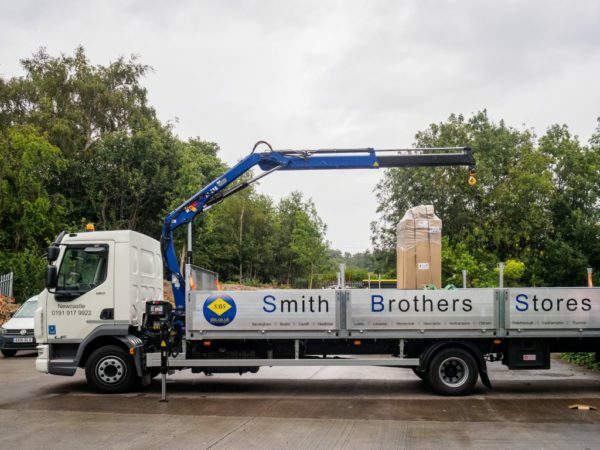 Smith Brothers is one of the largest and oldest independent merchants operating from the UK directly focusing on supplying to the commercial and industrial mechanical services sector. Operating from England and Wales, SBS now forms a 14-depot network which includes a head office in Blaby, Leicester. With the core business focusing on three key attributes of stock, staff and service, we feel customers receive a level to service which is unique and essential to the marketplace. As one of our main attributes of the business is service, it is important to have our fleet meet the high standards set by FORS. Customers therefore know we have the facilities available to be flexible delivering on whatever demands are placed on the business. With our fleet of vehicles, we continually focus on reducing our CO2 emissions, making sure vehicles conform to the ‘low emission zones’ that started operation in 2008, administered by the Transport for London. Using the latest guidelines we can ensure our fleet meet Euro 6 standards, look out for the FORS sticker when you next see an SBS vehicle.